During Ruth Graf’s decade living at Kendal at Oberlin, her daughter Tina always looked forward to her visits. Tina enjoyed their mother/daughter time together, but that’s not the only reason she liked coming to Kendal. “Every time I visited I never wanted to leave. It was a lovely place and totally stimulating,” Tina recalls. Tina now calls Kendal home, and joins a growing list of second-generation Kendal residents. Kendal opened in the fall of 1993, and since then about a dozen men and women have followed in their parents’ footsteps and become residents. Another half-dozen others are currently on Kendal’s Priority List, and the number of second-generation residents will surely multiply as the children of former residents reach retirement age. As Kendal prepares to celebrate its 25th anniversary later this year, let’s pay tribute to some of its legacy families. Kendal had only been open a month when Helen, who lived in nearby Wellington, moved in. “I asked my mother if she was really sure she wanted to move to Kendal, and she said, ‘yes, all my friends are dead.’ Five years later she celebrated her 90th birthday and had 125 new friends from Kendal at her party,” Randy says. Early on, Randy and Sheila decided that someday they would also move to Kendal and started “saving their pennies.” After Helen died, Sheila stayed in touch with many of her mom’s friends and when the two moved in - Randy in 2014 and Sheila in 2015 – they hit the ground running. Sheila died in late 2017. Randy is a member of the Kendal at Oberlin Residents Association (KORA) and mentors new residents, who often ask him why he moved to Kendal. “I moved to Kendal because my mother was here and I saw the possibilities. I like the sense of security and the stimulation and the fun times,” he says. And living in Oberlin, just miles from where he grew up, is like coming back home. In the late 1980s, the Appletons retired and left the Hudson River Valley for Oberlin, where their daughter Judy was a doctor. When Kendal opened, they moved in. “I spent a lot of time here and signed up early on. I knew I would be here,” Judy says. She moved to Kendal in 2013. Dorothy and her husband, Joe, moved to Kendal a year after her mother. Helen was an avid gardener and brought 70 antique roses plants to Kendal to start a rose garden. She got involved in other Kendal gardening projects, such as the herb and wildflower gardens, later using her electric cart to continue gardening. “She would come for dinner four or five times a week and we would take her to church and shopping, but we didn’t live in each other’s pockets,” Dorothy says. Helen died a few months before her 100th birthday. Nancy and Len Garver lived in Schenectady, New York and were looking for a small college town for retirement. They were also looking for a community they could share with Nancy’s mother. Lois had dementia and lived in a nursing home near the Garvers. 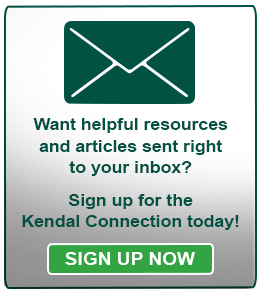 “We called Kendal, found out they had nursing availability and visited Kendal. We never looked at another place,” Nancy says. 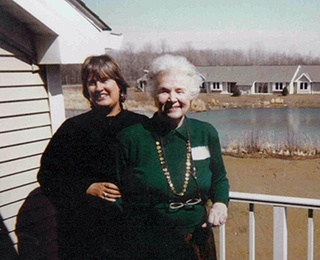 When they moved to Kendal in the fall of 1994, Nancy was 59 and became the youngest resident. “I was swiftly displaced by Dorothy Luciano, who moved in the following month and was 58,” Nancy says. Nancy is a quilter and fiber artist and maintains a studio at Ginko Gallery in downtown Oberlin. Her artwork has been displayed at the Kendal art galleries and other exhibits. She is also a volunteer with the Community Action to Save Strays (CATSS),a trap-neuter-return organization that helps abandoned cats find new homes. “I’ve been most lucky finding homes for many of them at Kendal,” says Nancy, who has adopted several cats over the years. Nancy’s husband, Len, died in 2014. 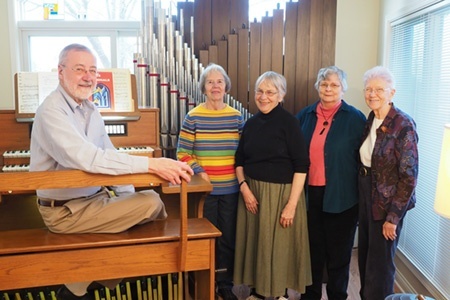 Oberlin College has played a pivotal role in Judy Cook’s family. Her parents met at Oberlin and were married at First Church, which overlooks Tappan Square. Along with many nieces and nephews, Judy attended the college. Her future husband, Dennis, a student at the University of Maryland, proposed to her on Tappan Square. They were married in 1971. When Judy’s mother moved to Kendal, the couple visited often from their home in Laurel, Maryland, where Dennis worked as an electrical engineer and Judy as a folksinger. 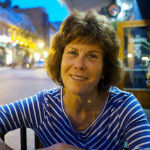 Judy’s work often meant traveling around the United States and the United Kingdom and Dennis went along as her roadie. When the Cooks started looking for a new place to call “base” for the rest of their lives, Kendal at Oberlin was certainly on their list. So were about a dozen other continuing care retirement communities. “We had many good memories of Kendal, and because of mom, we knew it was a wonderful place and had excellent care. But we didn’t want to come here just because mom had been here,” Judy says. Kendal rose to the top of their list and stayed there primarily for one reason — “they have the best people, both staff and residents,” Dennis says. The couple moved to Kendal five years ago, but only spend about half the year actually living there because of their folk concert schedule. When they get older and are traveling less, they have lots of plans, including auditing classes at Oberlin College. Doug Kirtz was living in Oberlin when his father left Boca Raton, Florida and moved into Kendal. “It was a very nice two and half years we had together. Dad was a happy guy and enjoyed Kendal,” Doug recalls. After his father’s death, Doug and his wife Mary moved to Vermont. The couple planned to someday return to Oberlin and become Kendal residents. Mary died in 2014 and Doug moved to Kendal in 2016. Annemarie Menzel was an energetic resident at the Firelands United Church Home in Oberlin, where she organized exercise and music classes. When the home closed and she moved to Kendal, she continued her energetic lifestyle. Her daughter Anne, and husband, Jim, lived nearby. They were early supporters of Kendal and had joined its Priority List with $1,000 deposit long before they moved there. Anne was on the Kendal board, so between visiting her mother and working on board projects got a close-up look at the inner workings of the retirement community. The couple moved to Kendal in 2010, six months before Annemarie died. Anne is involved with the Horticulture and Arboretum committees and Jim heads up the Woodshop. The couple just returned from India after six weeks volunteering at a college for women. After LeRoy’s death, Ruth moved to Kendal. She went to dozens of concerts at the conservatory and got involved with Kendal’s Play Readers. Tina, also an Oberlin College graduate, visited regularly, but like her father preferred living in warmer climates and couldn’t imagine returning to cold, gray Ohio. After her mother’s death, she continued to visit Oberlin to see her niece, then later because of involvement with the college’s alumni association. During one of those visits, she talked to Liz Burgess, owner of Ginko Gallery and now chair of Kendal’s’Board of Directors. “Liz told me that living at Kendal is like being in grad school. That’s what started the journey,” she says. Four months ago Tina left her home in the Atlanta area and moved to Kendal. She continues to work part-time, as an organizational development and change consultant, and likes to travel. Still, Tina is surprised to be living in a place without a heavy dose of sun and warmth.